I love my fan mail. One of the recurring themes is the request for advice about writer’s block. I think writer’s block comes in two basic forms. If you’re working on a piece (a novel, a story, a song, a play, whatever) and you get stuck after having written part of it, that’s a work-in-progress block. You have the beginning and ending of your story, but you can’t get the climax right. You have three verses to a great song, but you can’t think of a chorus. For that kind of block, I recommend getting away from the page. Take a walk. Take a nap. Take a shower. But take your writer’s notebook with you. It is usually when I’m away from my desk that the answer comes. There is, however, another kind of block. It’s bigger. It’s scarier. It often comes in the form of a question: why can’t I seem to come up with anything to work on at all? In a TED talk, the musician Sting addressed this kind of writer’s block. He said that after many years of writing hit songs, he found himself at a loss. He couldn’t seem to write at all. I loved his answer. He said that he stopped thinking about trying to express himself in his songs and started to think about writing songs in the point of view of others. Getting away from himself liberated him. As both a fiction writer and songwriter, I write from the point of view of the other all the time. It is liberating. And when I find myself in that bigger, scarier place of wondering why I’m not working on my next big project, I try to find quiet space and time to simply let the voices of others float up and around. Then I listen to see whose story interests me the most. Minerva has been raised by her single mother after her father left them both. On her 17th birthday, she is shocked to discover that he has been trying to keep in touch, but her mother has been sabotaging his attempts. Furious at her mom, she begins to investigate her dad, a famous marine biologist, only to discover that he has a new family, including a beloved, and perfect, stepdaughter--a girl Minerva already knows and despises. Mary Amato is an award-winning children's book author, songwriter, musician, puppeteer, and poet. 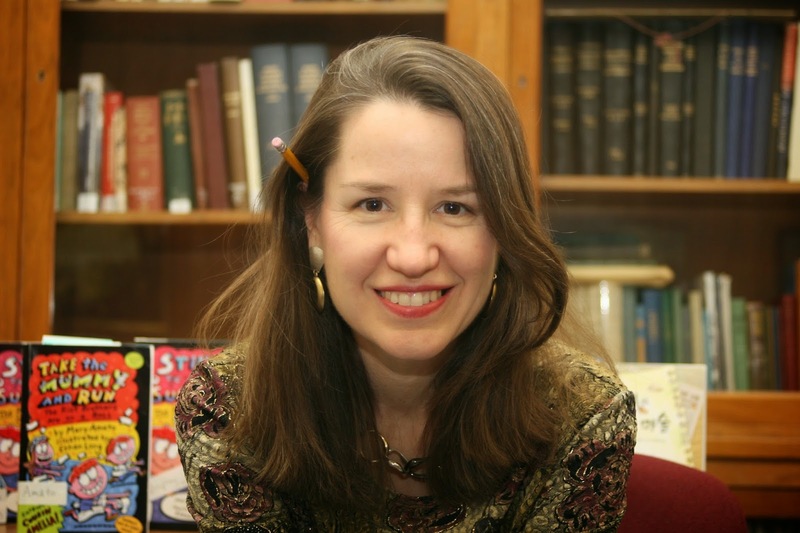 She writes for children of all ages, and is beginning to focus on YA. 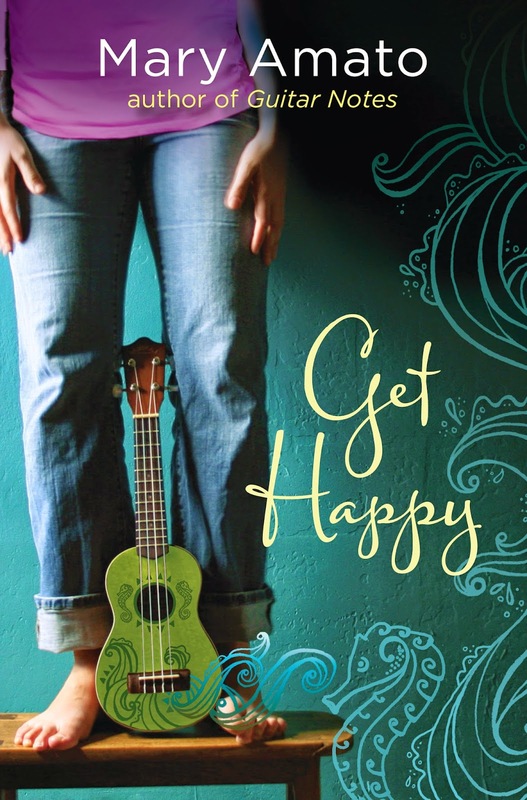 Her first YA novel was Guitar Notes. Mary lives with her family outside Washington, DC, where she also performs regularly, singing and playing her own songs. Mary is a popular speaker and runs numerous workshops for teachers and students, including many on all aspects of creative writing, even songwriting. The author lives in Silver Spring, MD. You can visit her online at http://www.thrumsociety.com/. Read a book to take your mind away. This is a great review! I feel the exact same way you do about the book. I was quite upset with the ending too, because I felt like Dashner could have done something more...I'm reading the prequel now- The Kill Order. Getting kinda interesting! Listen to music or read.